We have been in the school tour business for many years and as we are parents ourselves, we realise that school touring is an important part of education. We have a few itineraries that over the years have proven to be quite popular. We also design itineraries around the group’s requirements. Not only do we offer educational tours, we also arrange sports tours (not matches) or even help with hiring the best bus for your trip. We only source buses that have all their licence and permits up to date and are in excellent condition. One stop tour planning and reservations for your next school tour. Sit back and relax. We do it all. Transport, accommodation, meals as well as excursions. Half day and full day trips in and around Cape Town, the winelands and the Cape Peninsula. Sport tours – we will make all your travel arrangements around your pre-organised matches. 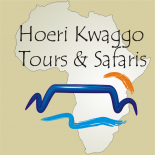 Longer tours to the Garden Route or even Durban, Gauteng or any area you choose. Only need a bus? No problem. We can arrange bus hire from reputable companies. We only source buses with VALID permits and licences.